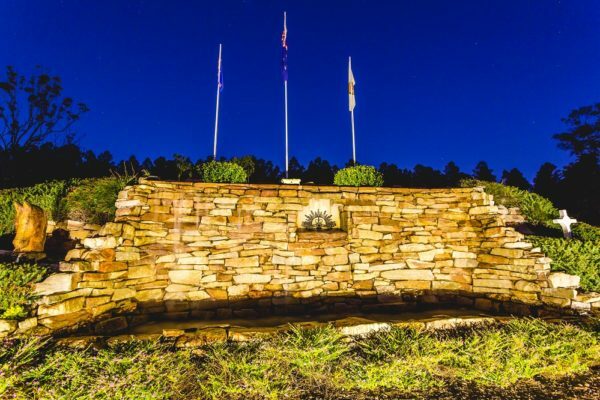 Nestled on 18 lush acres beside Toolara Pine Forestry, Standown Park is a short 24km drive from Gympie on the Tin Can Bay road. Standown Park offers beautiful gardens, quiet and safe surrounds with plenty of open space and is sand-fly free. It is the perfect base to relax and escape the hustle and bustle. 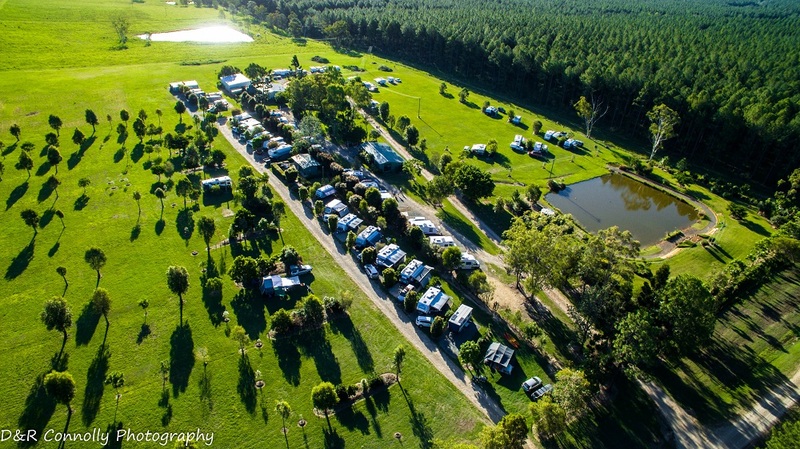 With grass or slab sites for caravans and camping, drive through options for big rigs and plenty of room for large groups, we have your next holiday destination all wrapped up. 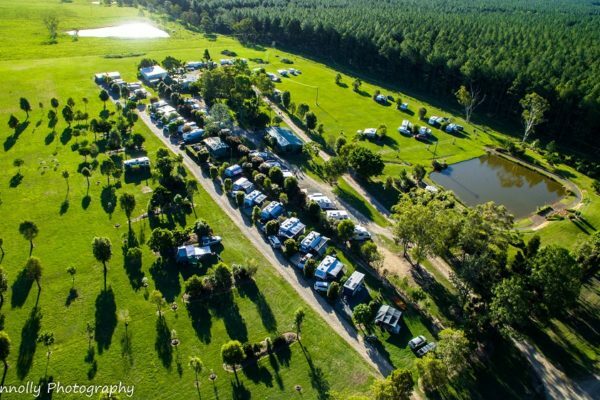 Standown Park is an independently owned, affordable, well established, well respected Caravan Park free from Jumping Castles, Tennis Courts and Swimming Pools. It is a clean, relaxed and unique getaway experience with all your amenities and extensive camp kitchen. 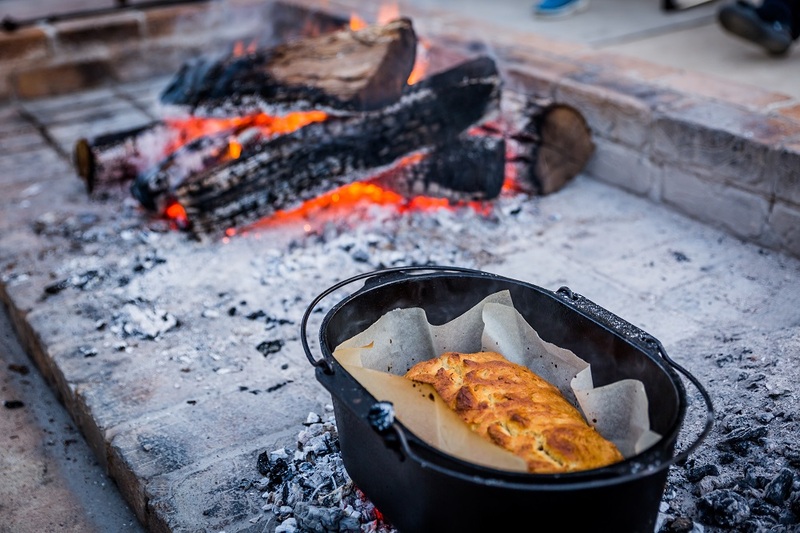 It’s a place to unplug, meet old friends and make new ones around the open campfire and where happy hour seems to last a bit longer. A place to bring your family and your friends where you can unplug from technology and take in the peacefulness that is Standown Park. 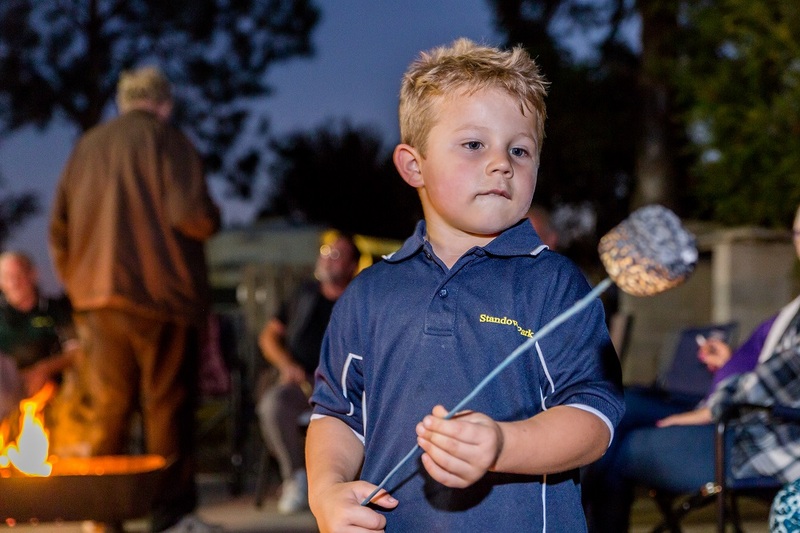 We specialise in providing a comfortable, relaxing and peaceful destination for Australian and international families as well as service men and women of the ADF and 000 personnel. 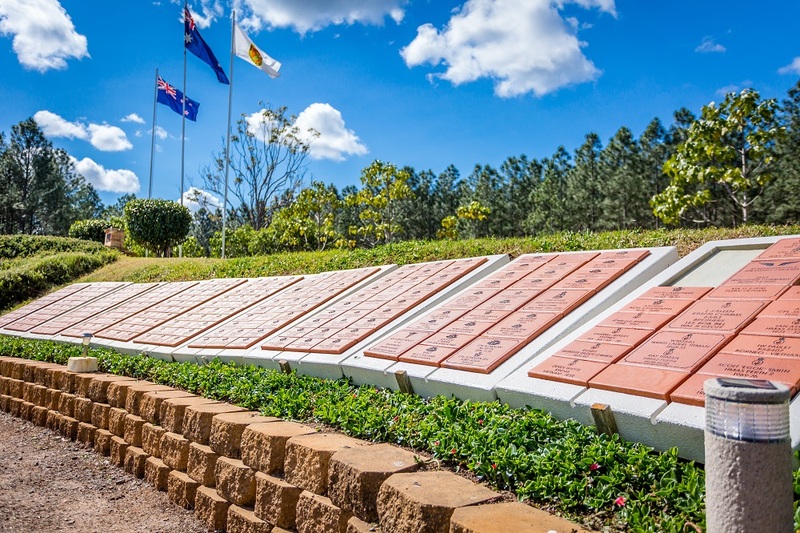 We offer special discounts to Veterans young and old, current and past serving members of the ADF and 000 personnel. 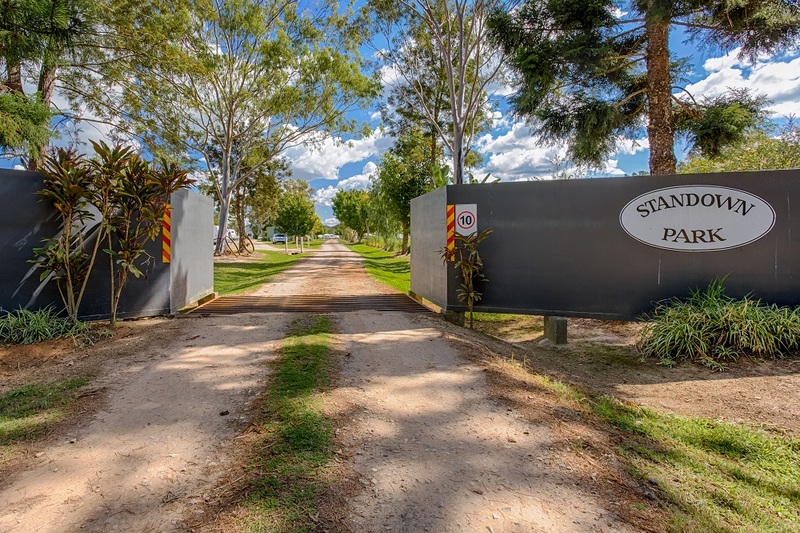 Standown Park is located 24km North East of Gympie on the Tin Can Bay Road. Travel north from Brisbane to Gympie via the Bruce Highway approximately 2.5 hours or south from Hervey Bay via the Bruce Highway approximately 1.5 hours. Take the Tin Can Bay exits and if using a GPS the address registered is 91 Radtke Road, Kia Ora. From Gympie – Bernards Service Station is on the right and 5kms further, on the left is Radtke Road, just before the Toolara Forest starts. Standown Park is located 900 meters down Radtke Road.